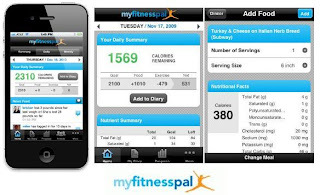 So I have been using My Fitness Pal app on my phone as well as my laptop. 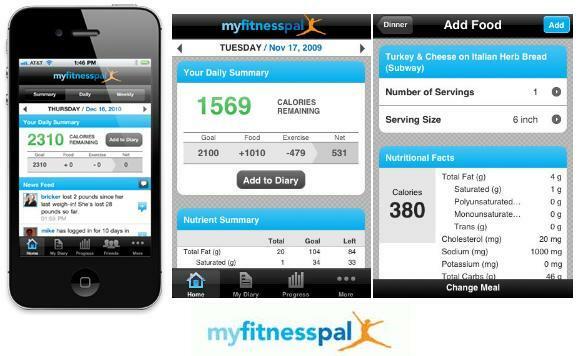 Its a calorie counter but it also tracks your daily activity, weigh ins, keeps running reports of your progress, you can have buddies and chat on your page similar to facebooks news feed. Its kinda cool - the phone app has a scanner that will allow you to scan the foods barcode and it plugs in the correct info. Or it has a database of thousands of things so you dont have to figure it all out on your own. I'm trying to be dilligent about it - so far so good I guess. Its handy because I can scan everything in so I can just do it while I am cooking for everyone.